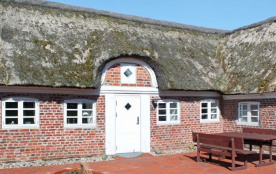 In the centre of Blåvand you will find this holiday cottage on a large plot with room for various outdoor activities. There is a common swimming pool (3.5 x 8.0 x 1.1) and a whirlpool with separate changing rooms for men and women. 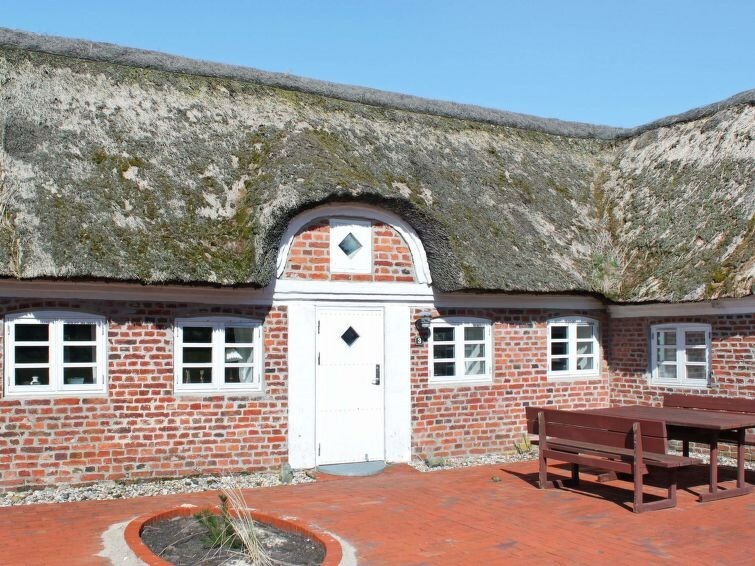 The terraced house is kept in a rural style outdoor but inside you will find a house built with eye on details. The living room has high-vaulted ceiling which helps create a special effect. The kitchen is furnished in a wooden style which matches the raw floors. Please note: there is an extra fee of DKK 0,70/unit for heating of the pool. No letting to youth groups.